Introducing the new Barleystone Ashford paving collection. 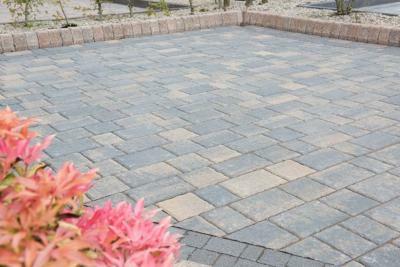 We are proud to introduce this fabulous new textured wavy top paving to our Barleystone range. Available in a choice of 3 distinctive colours Autumn, Juniper and Silver Grey. Supplied in a 3 size mix this product offers a unique textured finish, whilst its cushioned top feature and rounded edges are reminiscent of a traditional cobble. Suitable for driveways, footpaths and domestic paving areas these blocks have 1.5mm nibs on all edges to give an accurate joint width. No need to worry about a pattern, the Ashford range has three sizes (small, medium and large) within each pack that enabling a varied laying design. Full pack covers an area 10m2.